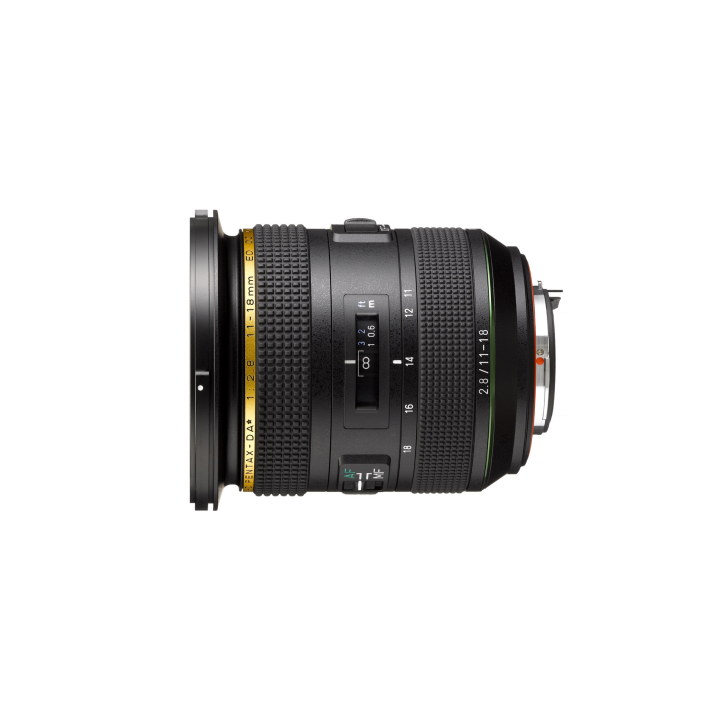 This ultra-wide-angle zoom lens delivers high-resolution, high-contrast images without blurring at the edges, and assures excellent imaging performance in high-grade digital photography, even at open aperture. It has been developed as the latest model of the new-generation Star (★) series — a lens that provides exceptional image quality to be able to accommodate the super-high-performance digital cameras of the future. With the introduction of this lens, the high-quality, high-performance Star series now provides a wide angle-of-view coverage —from ultra-wide angle to telephoto — with its compact models featuring a large F2.8 maximum aperture, which are exclusively designed for use with PENTAX APS-C-format digital SLR cameras. In addition to an outstanding dustproof, weather-resistant construction, and -10°C cold-resistant construction, the lens provides a Focus Clamp Mechanism to lock focus at the desired focal point. It also provides useful features to improve performance and dependability in harsh outdoor conditions: a space specifically designed for wrapping a heating device to prevent dew condensation, and a metallic frame structure to more effectively transmit the heat of the heating device to the lens. These devices greatly improve the lens’s operability when shooting landscapes and starry skies. Despite its compact dimensions, this ultra-wide-angle zoom lens provides a focal length of 11 to 18 millimeters (equivalent to 17mm to 27.5mm in 35mm format) to produce magnificent, dynamic images. Since its maximum aperture is fixed at F2.8 over the entire zoom range, it delivers sharp, bright images of scenes with starry skies. 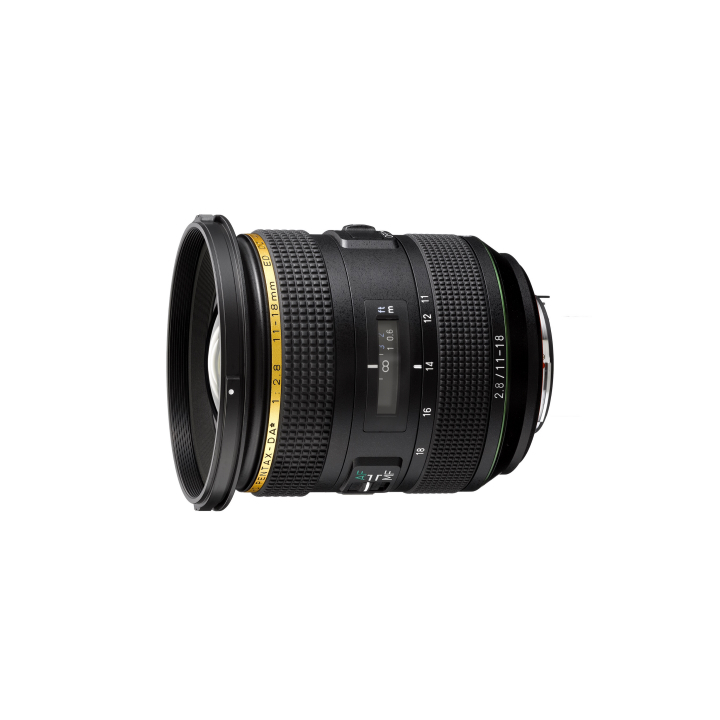 Thanks to a minimum focusing distance of 0.3 meters, the lens also lets the photographer capture true-to-life close-up images by emphasizing the depth of field with an effectively defocused background. This lens features high-grade, multi-layer HD Coating,* which reduces the average reflectance in the visible ray spectrum to less than 50% of conventional multi-layer coatings. It effectively minimizes flare and ghost images even in demanding lighting conditions such as backlighting. * HD stands for High Definition. The unique Focus Clamp Mechanism allows the photographer to lock the lens’s focal point, even when the focus ring is rotated. This improves the lens’s operability in photographing such subjects as landscapes and star-lit scenes, which demand high-precision focusing during extended exposures. It also has special features for improved operability and versatility in outdoor shooting, such as a space for wrapping heating wires around the lens barrel to prevent dew condensation, without affecting focus-ring operation; and a metallic frame structure to more effectively transmit the heat of the heating device to the lens. Developed as an AW (All Weather) model, this zoom lens features a dustproof, weather-resistant construction to prevent the intrusion of water and dust particles into the lens interior. By pairing it with a PENTAX weather-resistant digital SLR camera body, this assures a highly durable, reliable digital imaging system that performs superbly in demanding shooting settings — even in rain or mist, or at locations prone to water splashes. 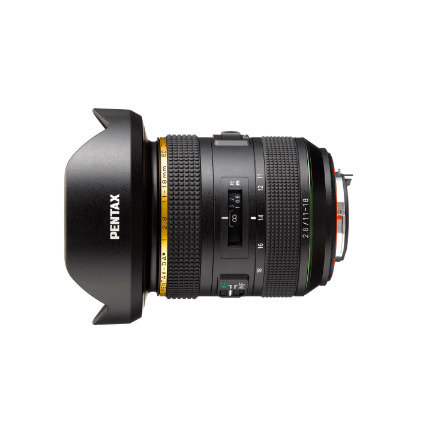 Anticipating use in cold locations, this lens assures solid, trouble-free operation even at freezing temperatures.